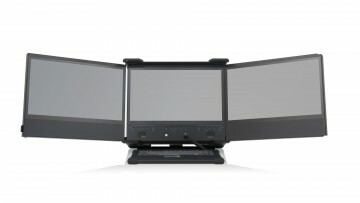 Triple 17.3" HD displays in a high performance, rugged portable setup. 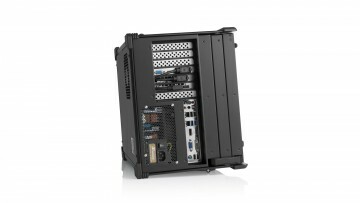 Designed as a flexible-use unit with 7x full-length expansion slots configurable for the most demanding applications. 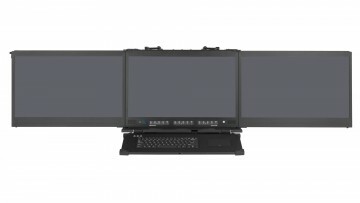 The FlexPAC III provides triple displays at full HD for a combined resolution of 5760 x 1080. This combined resolution is typically ideal for digital media applications, geospatial analysis, or computer-aided design. 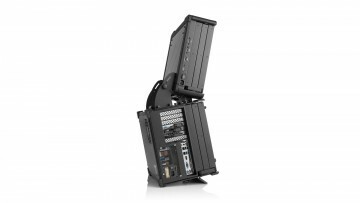 While the FlexPAC III is very large (or wide) because of how it employs 3 displays, it can also be folded up when not in use to become a very compact unit. You simply deploy it and open it during hours of operation. 3 displays is enough for most applications. However, some require more. 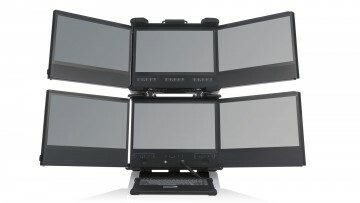 With the FlexPAC II, you can actually attach our very own BCCD on top to have 6 or even 9 displays! In emergency situations where every second counts, the FlexPAC III allows you to setup and deploy a full mobile command control center instantly. 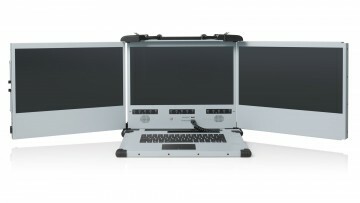 Built using heavy duty metal, this robust computer allows you to take control over emergencies as quickly as possible, and with 3 large HD displays, you can have a better grasp and overview of the entire situation. 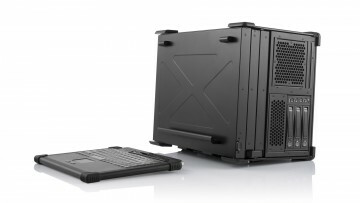 Its tough build and its powerful components make it suitable for a wide range of applications, such as Computer-Aided Design, geographic information systems, and broadcasting. It is an excellent platform simulation and training applications. Every FlexPAC III comes equipped with three HD resolution LCD displays, dual system cooling side fans and easy access to its expansion slots for immediate system upgrade or maintenance. 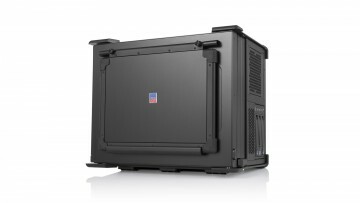 The LCD displays can be expanded and retracted fully for transporting and storage. The extra-rugged construction allows it to sustain bumps and makes it the most durable and efficient portable solution for your needs. 105-key Keyboard With Integrated Touchpad. Available in a variety of languages.